Testing the cables on Brooklyn Bridge, c1900. 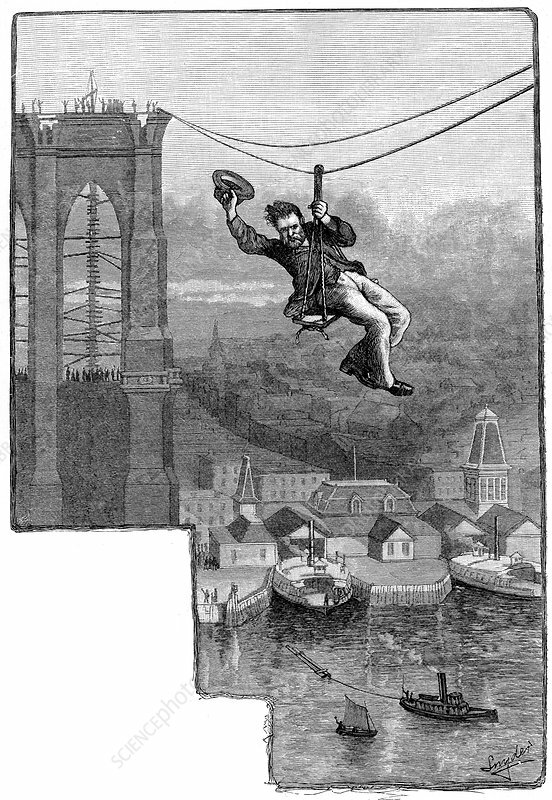 Brooklyn Bridge, New York, opened 1883: E.F. Farrington, master mechanic, testing the first span of wire cables. Wood engraving c1900. Designed and built by J.A. and W.A. Roebling.